Tuscany is one of the most dynamic wine-producing regions of Italy, comprising many of the country's most famous wine appellations. Chianti is the most diversified Tuscan appellation. It has always been the dominant strength of the region, due to its universality and uncontested personality. Brunello di Montalcino is another famous Tuscan appellation, covering the vineyards around the fortified city of Sienna, where red wines achieve legendary depth and longevity. 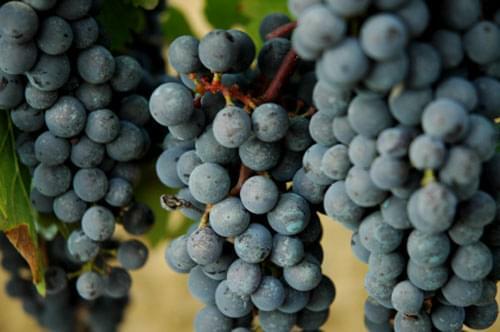 It produces some of the most expensive Italian wines. Not far from Montalcino is Montepulciano and its Vino Nobile made from a special kind of Sangiovese named Prugnolo Gentile. The Carmignano appellation, officially protected since 1716, produces a rare blend of Sangiovese and Cabernet. Also protected at the same time, the Pomino appellation produces an altitude wine made of Sangiovese, Cabernet and Merlot, as well as a special white Chardonnay-Pinot blend. Starting in the 1970s, higher-end alternative wines have emerged in and out official boundaries of the traditional appellations. 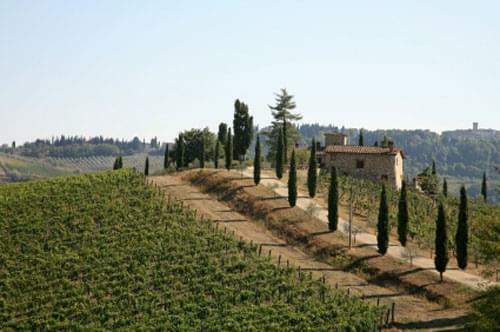 They are called the Super Tuscans and often bear the generic Toscana regional appellation. These wines have achieved cult status around the world, inspiring the rest of the region to raise their standards of production. Coastal appellations of Tuscany are also gaining more and more prestige, such as Morellino di Scansano or Val di Cornia, Montecucco, Monteregio di Massa Marittima, Montescudaio, Capalbio and Sovana. The pride of many Tuscan vintners are the Vin Santo appellations, a variation of several Tuscan appellations. 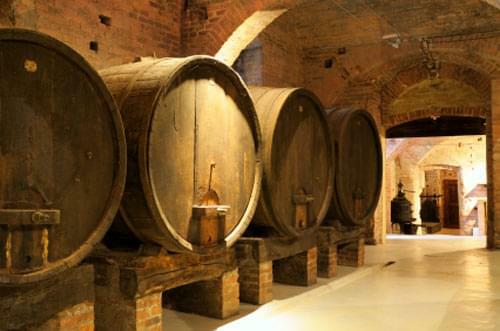 Made from half-dried grapes aged in small wooden barrels, Vin Santo is an exquisite dessert wine. Most Vin Santos are made from Malvasia and Trebbiano. White Tuscan wines have long been overshadowed by their red counterparts. The exception to that rule is the Vernaccia di San Gimignano, from the antique indigenous Vernaccia varietal. Other whites made of international varietals such as Chardonnay, Sauvignon Blanc, Pinot Griogo and Pinot Blanc are slowly getting momentum. Vineyards around the city Florence have become one of the most dynamic producers of high-quality Italian wines, in sharp contrast with the past decades of overproduction when poor-quality Chianti exports around the world degraded the reputation of Italian wines. This "modern Renaissance" has started around the Chianti appellation, in the central hills of the region, around Florence and Sienna, and spread to the coastal zones which weren't growing much wine until recently. Most of the improvement has come from classical reds made of the indigenous Sangiovese, like Chianti, Brunello di Montalcino, Vino Nobile di Montepulciano and Carmignano, all DOCG appellations. The other Tuscan red wines achieving international fame since the 1970s are the so-called Super Tuscans, often not grown in any official appellation, thus bearing the generic regional appellation Toscana. The many soil and climate variations in the rough hills of central Tuscany give opportunities to vintners to offer a great diversity of wines and explore personal styles.